Sidney Lee Welding Supply is in the business of providing the hobbyist welder with the gear and gases needed to carry out welding projects safely and effectively. 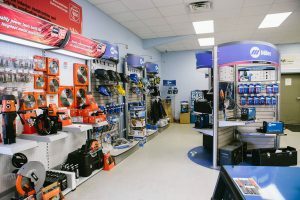 Our five locations in the Atlanta, Georgia area are stocked with the top welding equipment in the industry, from welding machines, filler metals, hand tools, and abrasives, to safety gear and a range of welding gases. We carry the dependable work-horse welding machines from vendors you trust for gas metal arc welding, stick welding, and MIG and TIG arc welding. We also distribute the welding torches and power supplies you require for constant and reliable performance. We carry a range of welding gases in small tanks that are ideal for the hobbyist, including oxygen and acetylene, and argon and carbon dioxide mixed gases.